When their new nanny, Mary Poppins, arrives on a gust of the East Wind, greets their mother, and slides up the banister, Jane and Michael's lives are turned magically upside down. P.L. Travers, born in 1899, grew up on a sugar plantation in Australia, one of three sisters. Pamela deliberately kept her life very private. She lived for a while in Ireland and London, and travelled frequently to America, where she was made writer in residence to both Smith and Radcliffe Colleges in Massachusetts. She also received an honorary doctorate from Chatham College, Pittsburgh. Although she worked as a secretary, a dancer and an actress, writing wasP.L. Travers' real love, and for many years she was a journalist. 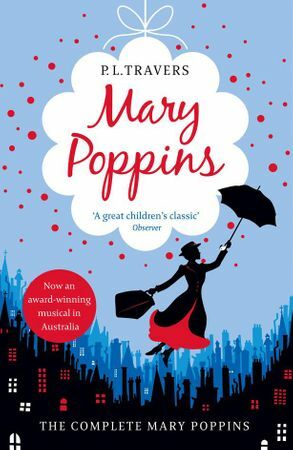 It was while she was recuperating from a serious illness that she wrote Mary Poppins - 'to while away the days, but also to put down something that had been in my mind for a long time,' she said. She wrote eight Mary Poppins books altogether and several other children's books as well as adult books.